Ballet & Rock Bride & Groom! 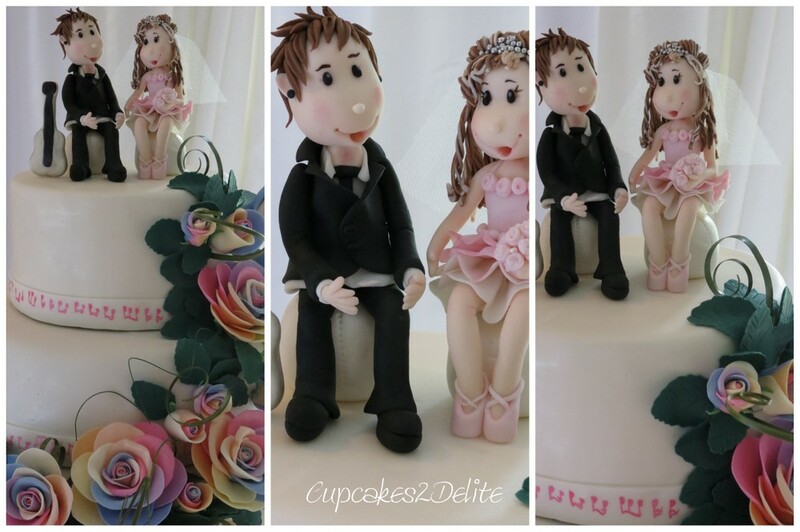 This post is long overdue as I made this sugar couple for Rezelle and Dion who got married in a wonderfully romantic service a couple of months ago. They chose as the theme for their wedding Ballet versus Rock as Rezelle has had a passion for ballet since she could walk and Dion is a talented musician and performer and loves his music. 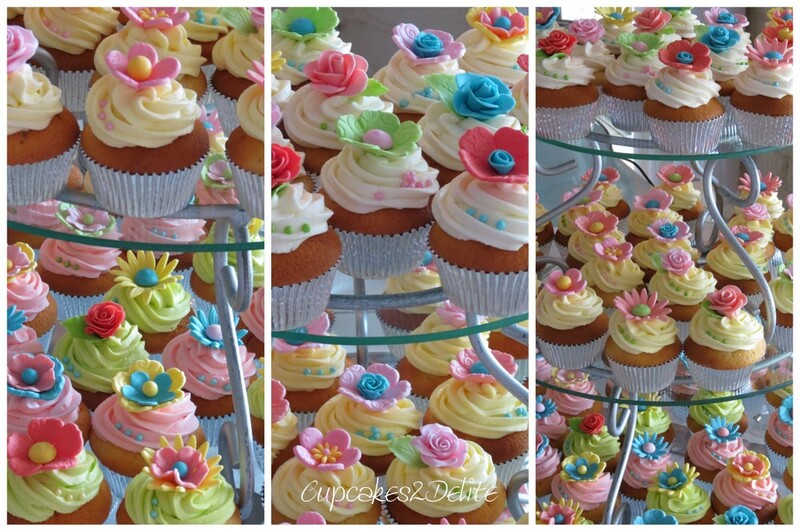 It was amazing to be a part of this special couple’s wedding in making their cake topper and the wedding cupcakes and then being invited with my family to celebrate their wedding service and reception with them. 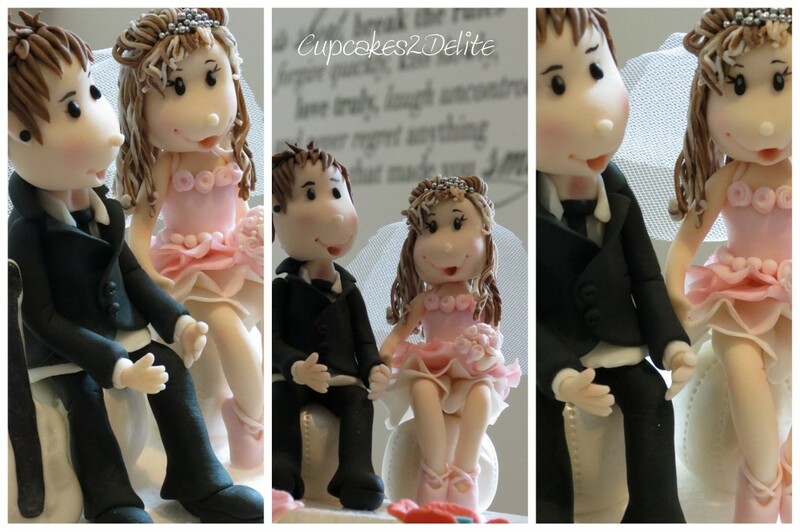 I had tremendous fun creating these two characters to resemble Rezelle and Dion and I was delighted with their reaction on seeing their wedding cake topper. 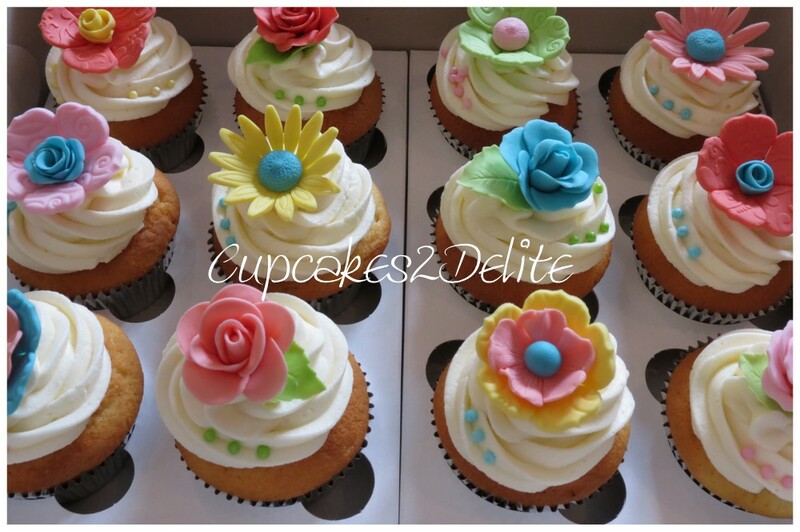 The cupcakes I made in bright and pale pastels to match the colour scheme of the day. What awesome families you two have and how perfectly they each helped in their own way to make your day memorable. I photographed the Ballet and Rock bride and groom as they sat comfortably on their beautiful wedding cake made for Rezelle and Dion by Sarah of Sugar Cookie Cakes. Sarah had designed the wedding cake with a cascade of rainbow roses from the top to the bottom tier and the sugar Rezelle and Dion were a perfect topper to such a beautiful cake. I wish you many years filled with happiness, joy, dance and music!